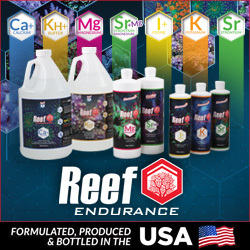 GHL recently announced on their website and Reefcentral forum, that after two years of development, they are finally ready to release their top secret LED module to the masses. Not wanting to release a fixture with just the commonplace feature set, GHL wanted to exceed the industry standards in order to win over customers in a very heated market. GHL has been very tight lipped about this new LED module up to this point, as is evident by the complete lack of a photograph of the module, but the recent product announcement has been quite revealing. From this info, we found out that the new module will feature 8 independently controllable color channels, which will feature LEDs in their most current from popular manufacturers. A full rundown of the known specifications can be read below. Additionally, we’re told that the GHL LED module is slated for a May release date. PAR: I think more than you need!